In Yu Jihui's memoir of his life as a university student in China as the nation starved during Mao's Great Leap Forward, carrots are decadent luxuries and flatulence is the people's true common language. "Soapy," the author's nickname during his college days, has been dubious about the benefits of the socialist revolution sweeping the country ever since his father was exiled to a desolate town in the middle of nowhere for daring to question the wisdom of trying to industrialize overnight. As a young adult, Soapy and his dorm-mates attend classes, chase girls, and attend endless political meetings, always struggling with the need to maintain a cheerfully patriotic outlook despite that pesky urge to faint from hunger from time to time. When Big Zhang, an older boy from the provinces, dares to be a nonconformist, openly mocking the system, the dangerous silliness of the day turns to literal, life-or-death danger. 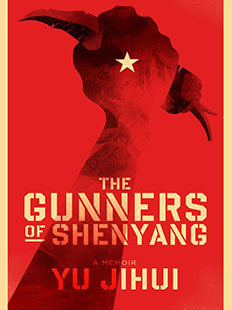 The Gunners of Shenyang is at once hilarious, revealing, informative, thought-provoking, and sometimes college-boy vulgar – a memoir of the horrors of the times from a boy still young enough to enjoy himself and a man now wise enough to see the big picture for what it was.